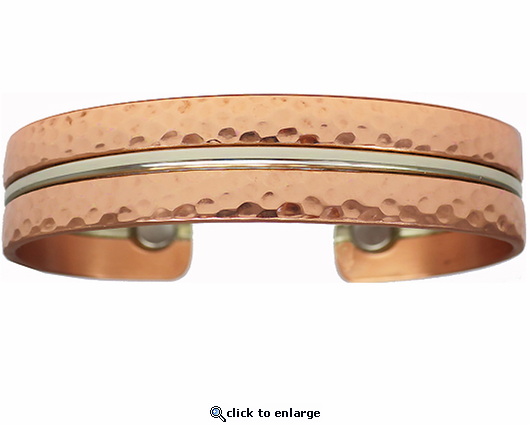 This substantial copper magnetic bracelet which Sergio calls Mother Lode is inspired by the way metal ore appears to miners. It is Sergio Lub style 846 and substantial at about .60" wide. It is made in the U.S., has 2 rare earth magnets, and made of pure copper.